Provides environments that encourage learning and creativity. Believes in personal growth and professional development. Encourages communication, self expression and sharing our stories both collectively and individually. We believe in the child’s abilities to learn and reach his/her potential – to become independent and a contributing member of our community. Because we respect the whole child as an individual, we also value his/her cultural heritage and family diversity. We view parents as partners in their child’s learning, realizing that they are the child’s first and primary teachers and encourage parental involvement. 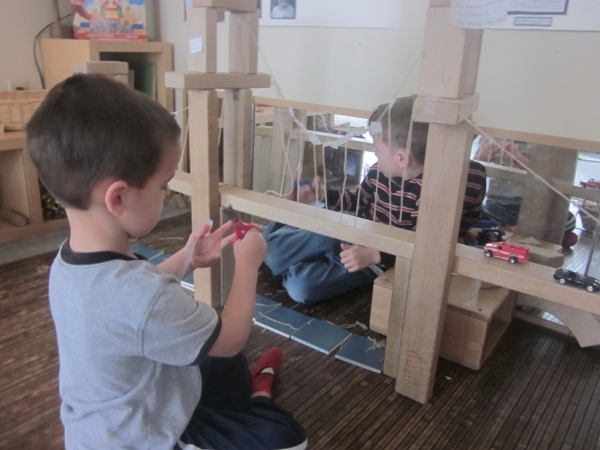 Our goals and objectives are to provide a safe, developmentally appropriate learning space and engage children in an ongoing process of learning that teaches him/her to trust others, develop self control, increase competence, originate new ideas and be successful in social interactions. Children will learn to observe, listen, ask questions, explore and interact. Teachers plan and individualize the program for each child based on the child’s developmental level and interests.